Welcome to the Fox River Classic Conference! The FRCC includes the northeastern Wisconsin school districts of Ashwaubenon (Ashwaubenon High School), DePere (DePere High School), Green Bay (Preble & Southwest High Schools), Howard-Suamico (Bay Port High School), Manitowoc (Manitowoc Lincoln High School), Pulaski (Pulaski High School) and Sheboygan (North and South High Schools) and Notre Dame Academy. 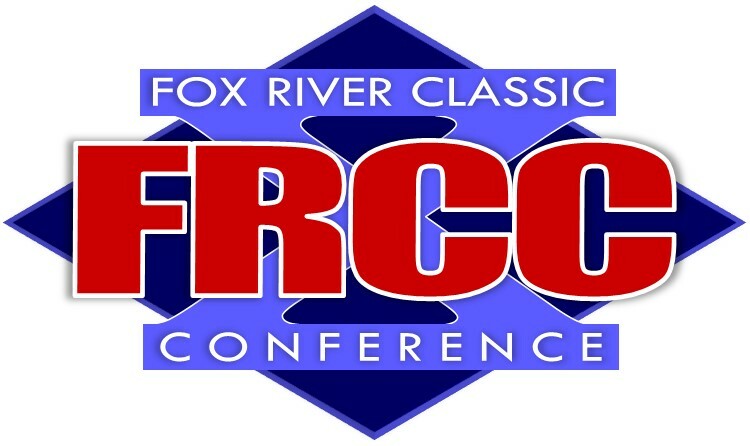 The purpose of the FRCC is to promote interscholastic competition amongst the schools associated in the conference. Beginning with the 2015-16 school year, Green Bay East and Green Bay West are members of the BAY Conference, but will co-op with the Green Bay schools for some sports. On our website you will find Freshmen, Junior Varsity (JV) and Varsity schedules for all sports along with standings, statistics, all-conference honors, historical standings and records for all Varsity sports. Standings and statistics for in-season sports are updated approximately once per week. We hope this information is helpful to the school communities, the media and the general public. The site also has information specifically for Coaches, Athletic Directors and High School Principals. The FRCC started creating this website during the Spring 2010 sports season. We continue to expand its use throughout the school year, updating games scores on a daily basis and stats on a weekly basis. Beginning with the 2015-16 school year, the FRCC with have a ten team conference and will no longer use the East and West Divisional format for any sports.